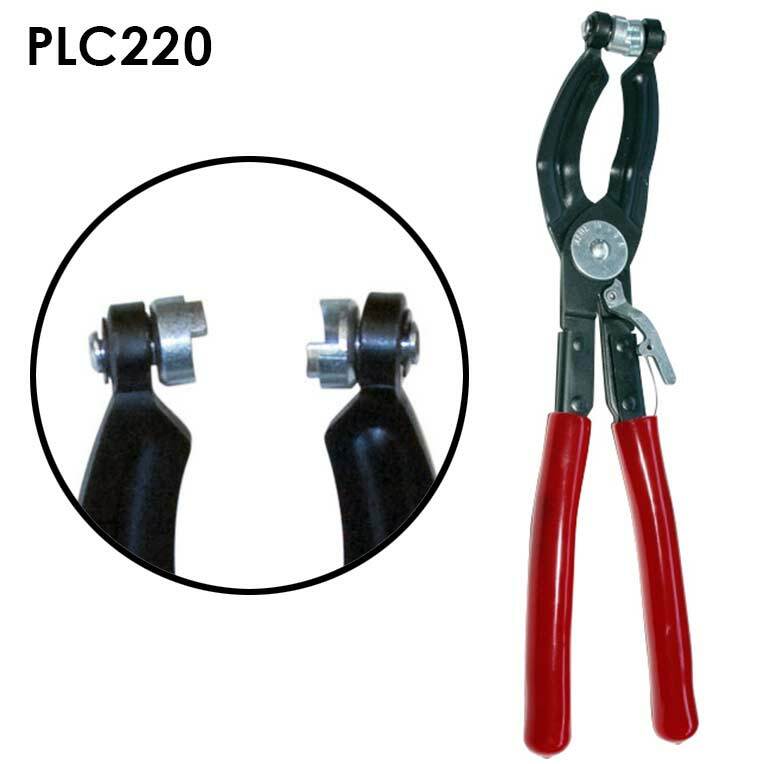 Tired of breaking off reusable “click” style hose Clamps? 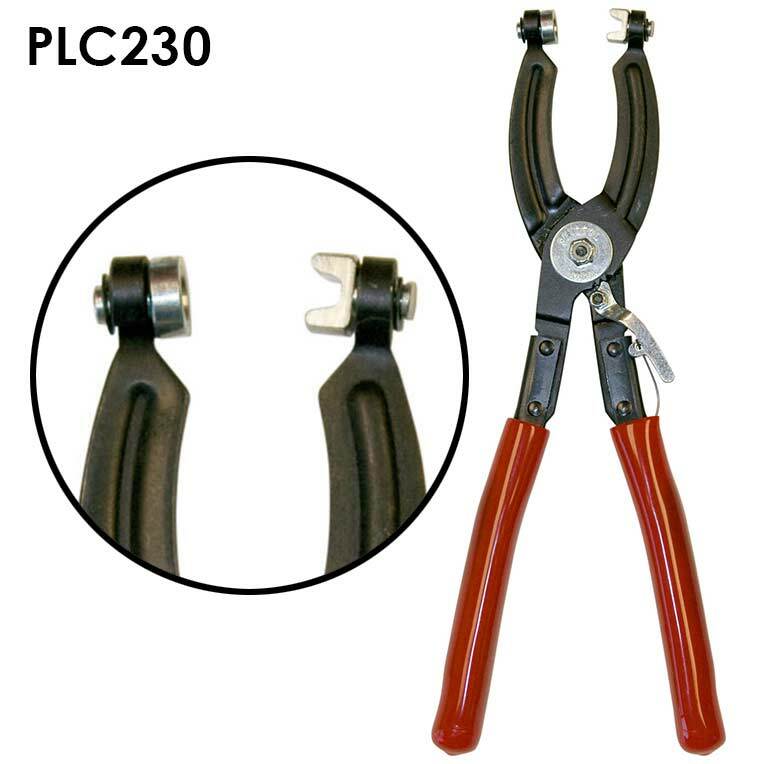 These click style hose clamp pliers have a 360° swivel head which allows access at any angle. 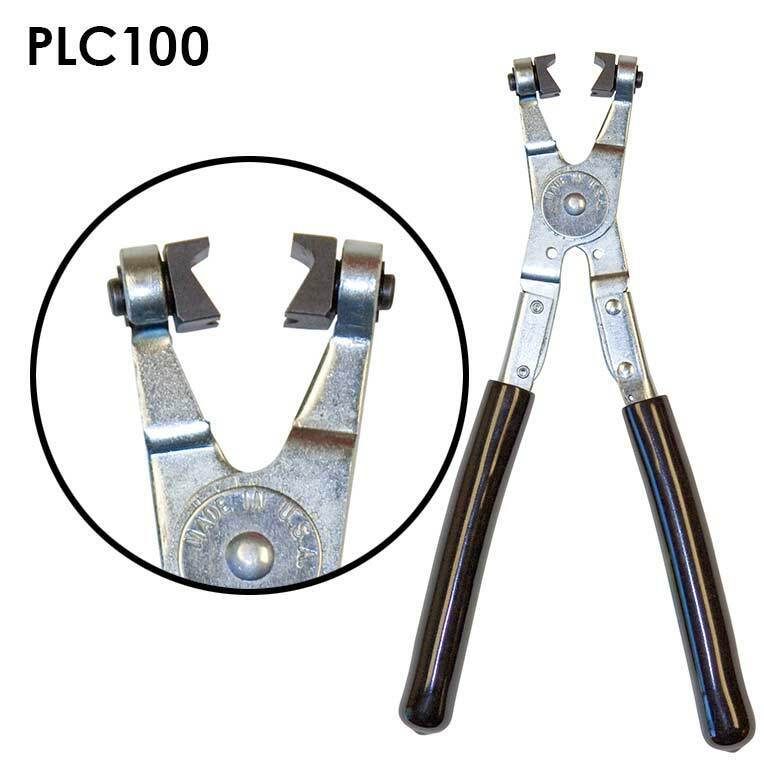 Available in 2" jaws for small clips or 4" jaws for larger or hard to reach clamps. 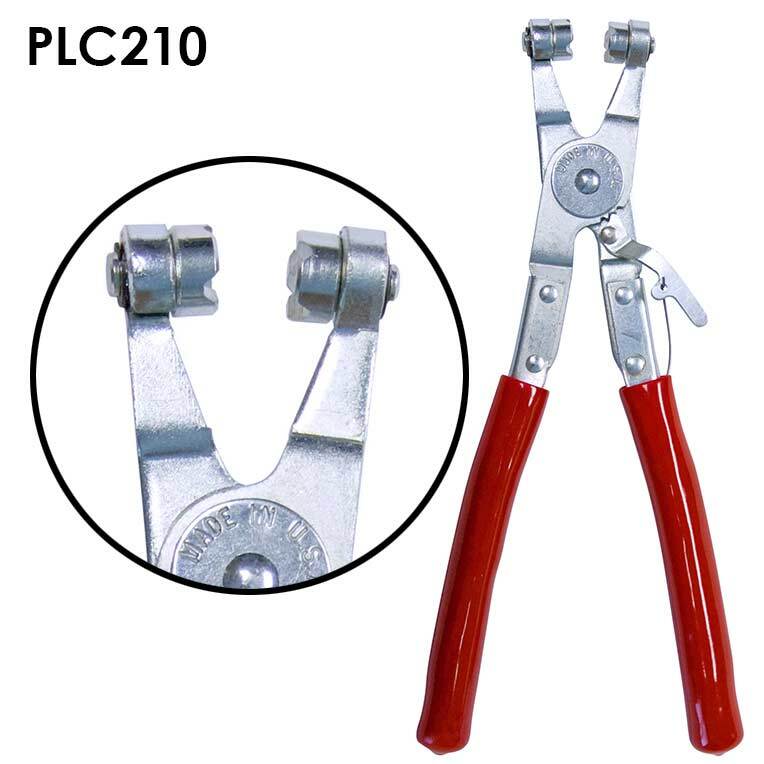 The swivel jaws on these hose clamp pliers are slotted for positive holding or removal of plastic and/or metal constant tension hose clamps. 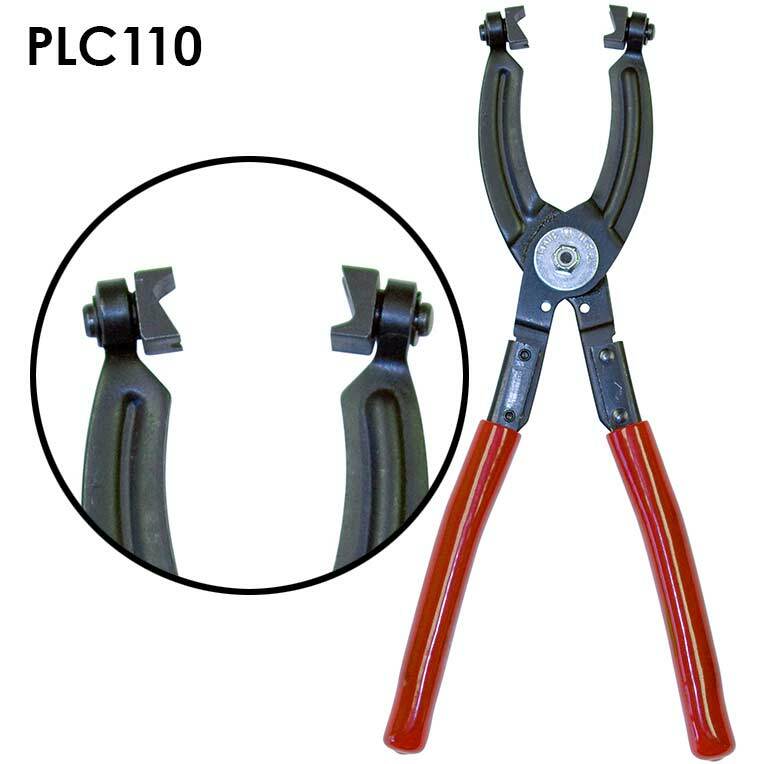 The hose clamp pliers can be locked in three different holding positions, freeing up your hands while you work. 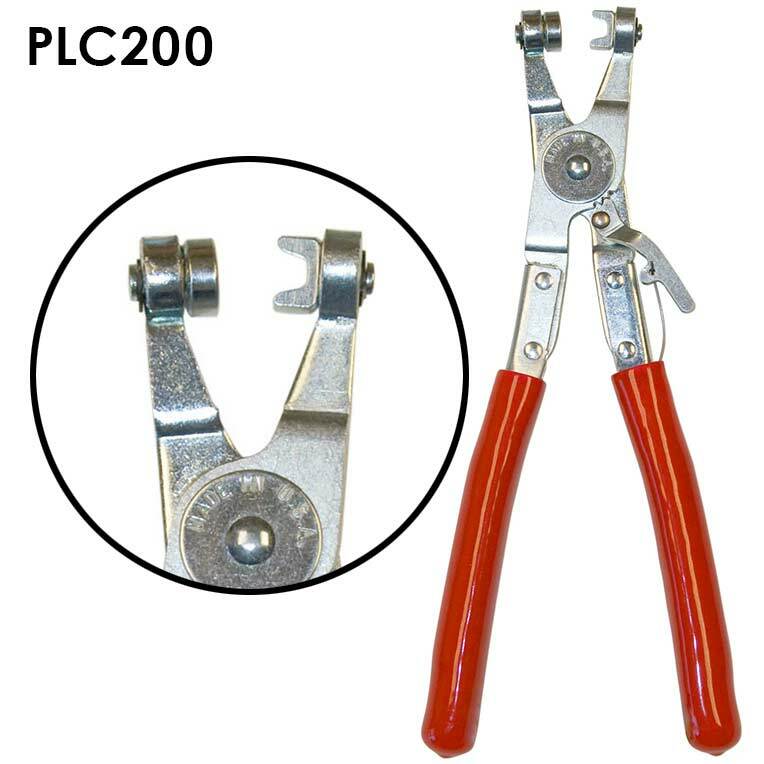 The PLC200 is for use on Ford, GM, Chrysler, VW and other import vehicles for constant tension/Mobia (fl at band) clamps, while the PLC210 is for use on vintage automotive and agricultural vehicles, appliances,irrigation/spraying systems, or Corbin (single wire) clamps.